In today’s generation, some kids might not have known what a postcard is. 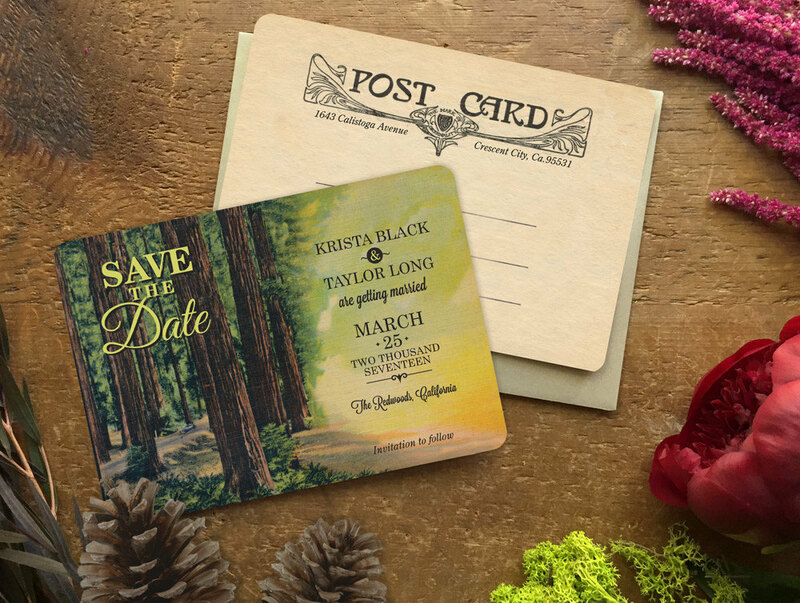 With the advancements of technology and one-click-send messages through electronic mails, it is not uncommon if youths do not know what a postcard is or cannot recognize postcard designs anymore. Even though technologies can greatly help us in sending messages, a different vibe can be felt if a letter is received right between your fingers. 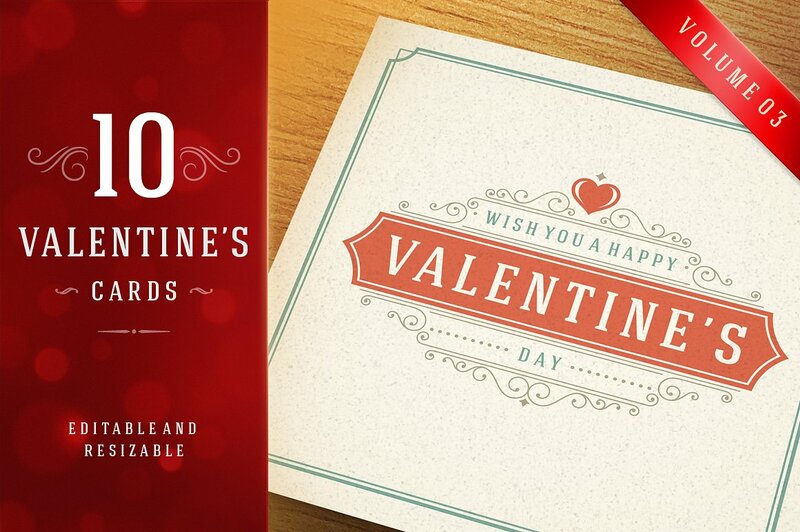 And of course, your effort can be appreciated more if the card or message or announcement is a tangible one. We are not against electronic mails and social media sites offering message services; we are just pointing out how people appreciate handwritten letters and what would people mostly feel when they receive an actual mail that can be felt by the hands, as sending mails nowadays is really rare. A postcard is a card that can be sent through mail even without an envelope. The sender must stick a stamp at one corner of the postcard. 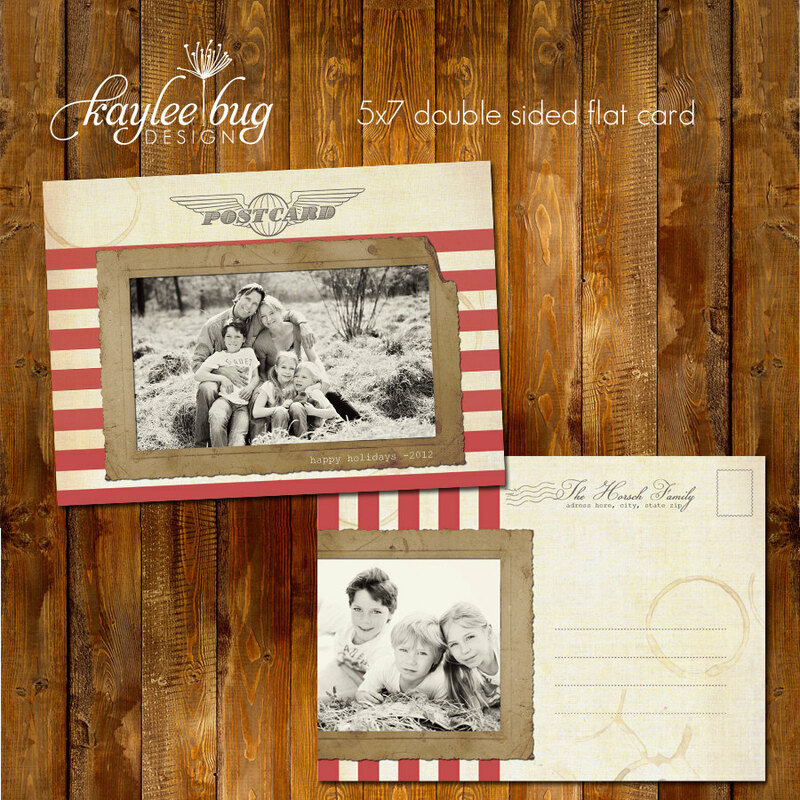 Usually, postcards have photos or pictures on one side. This is also preferred by some since the fee for sending a postcard is usually lower than that of an ordinary letter. Indeed, postcards have so many uses. The uses of postcards varies with different people because different people have different needs for the postcards. Here are some of the common uses of postcards. For giving thanks. 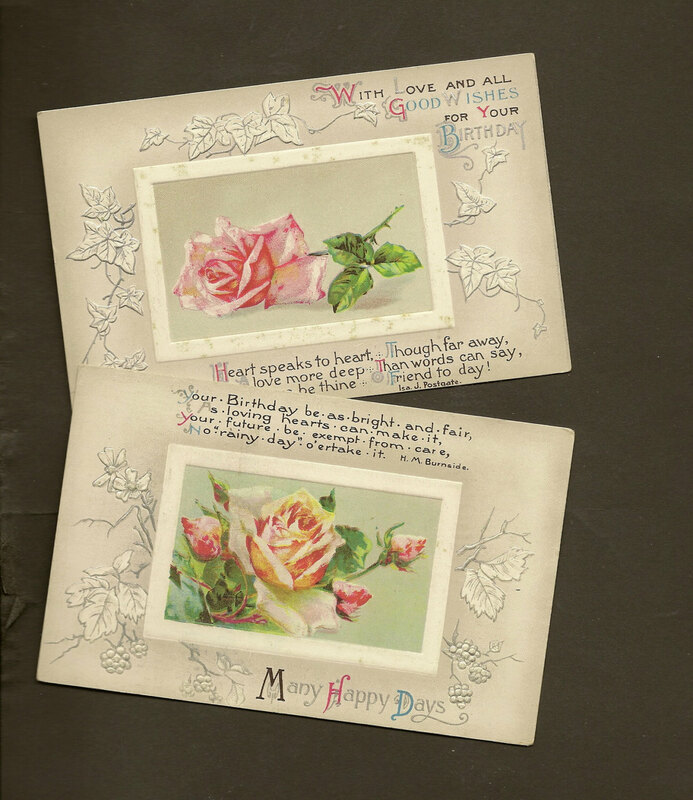 Similar to thank-you letters and cards, some postcards can be used to express gratitude. There so many instances in which you may give thanks to other people. In our lifetime, we celebrate so many events, and we may give thanks to the people behind every event’s success. Baby shower. For instance, you may give thanks to the parents after attending a baby shower. Similarly, the parents can also give thanks to their visitors and guests for attending their baby shower. Birthdays. You may give thanks to the people who are celebrating with you on your birthday. From the people preparing the food to the people decorating the area, even to the people sending invites to your guests, you may thank them all for the efforts they spent just to make your special day a memorable one. Birthdays are boring after all if you will spend it alone and not with the people most dear to you. Teachers. You may also give thanks to your teachers, whether teachers in schools or your teachers, mentors, and coaches in real life. You may thank give for patience and understanding that they are giving you during your lessons. You may also thank them if you receive good grades from them. Thanking them is appreciating their hard work in not only giving you lessons in school but also giving you practical lessons that are very applicable in real-life situations. For if you only rely on experience to be your teacher, then you might end up consuming your whole lifespan doing interpolation or trial and error. Graduation. You may also give thanks to the people who supported you on your graduation. You may even give thanks to your classmates for being with you on your journey. Who knows when will you be meeting soon? Graduation day is not only a day of triumph; it also a day part. You may be overwhelmed with a mixed feeling of happiness and sadness but you have to move forward. Graduation is not the end; it is the beginning of your life’s next milestone. On the other side of the coin, you may give thanks because you are being invited to attend a graduation party celebration. Giving thank you postcards or notes or letters would mean anything to the one inviting you. Job interview. In this rare situation, you may also give thanks—after a job interview. May it be a successful one or not, there may be a chance of getting the job or not, you can always show gratitude to your interviewer or the company as a whole. Wedding. Another huge event is when you are celebrating your wedding thank you and you want to give thanks to your visitors, to your supportive families, relatives, and friends, to your mentors, to your coaches, to the people organizing your wedding, to the guests who spend their precious time on your important day, and to any other visitors or people that you think you are very grateful of. Although the preparations for this event is usually heavy, don’t forget to give thanks to the people supporting you. No matter how busy you are, you can always allow a little time showing gratitude to the people who are also giving time for you. On the other hand, if you are the invited visitor, you may also give thanks to the bride and groom or their families for inviting you in that very special occasion. You will give thanks because you are remembered and they did not forget you on their special day. Accident recovery. This is also a quite rare situation when you are giving thanks. You will give thanks to the people helping you after you encounter an accident, especially if you owe them a lot or you owe them not money but your life. A little thank you postcard or note or card is very much appreciated. That only shows how grateful you truly are to the people helping you even if they didn’t know you. Others. The above are just some instances when you give thanks to people. I’m pretty sure you have a lot of times when you want to give thanks to people whether you know them personally or not. Birthday. 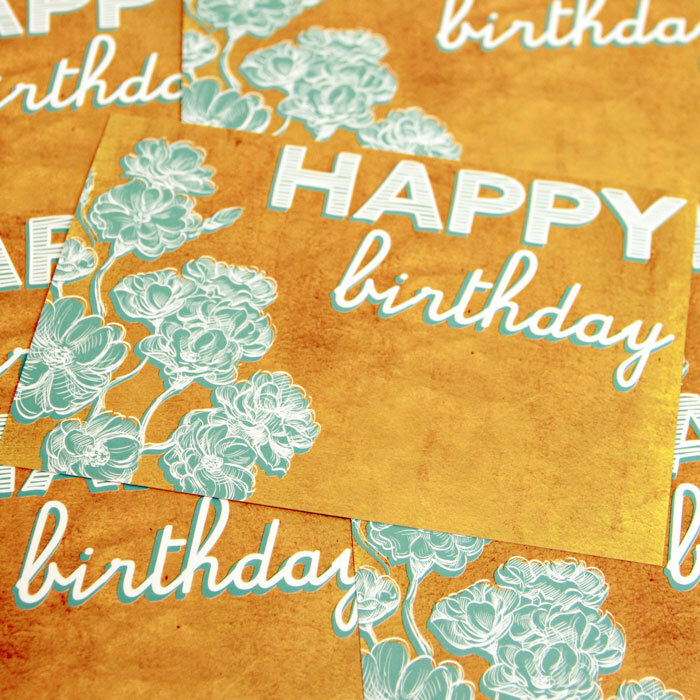 You might want to send or surprise someone on his/her birthday by giving a postcard, especially if you are busy and cannot be with the celebrant during the celebration. Postcards can never replace your presence, but it can always mean that you did not forget the special day and you truly care. New Year. Almost everyone celebrates this holiday as this is the welcoming of a fresh start of a new year. Most people are busy in their homes preparing for food and spending quality time together with their families and friends. But if you are away from your homes for certain valid reasons, you can just send a postcard to your dear ones and tell them how much you miss them and how much you want to spend time with them during the new year if only not because of certain circumstances. 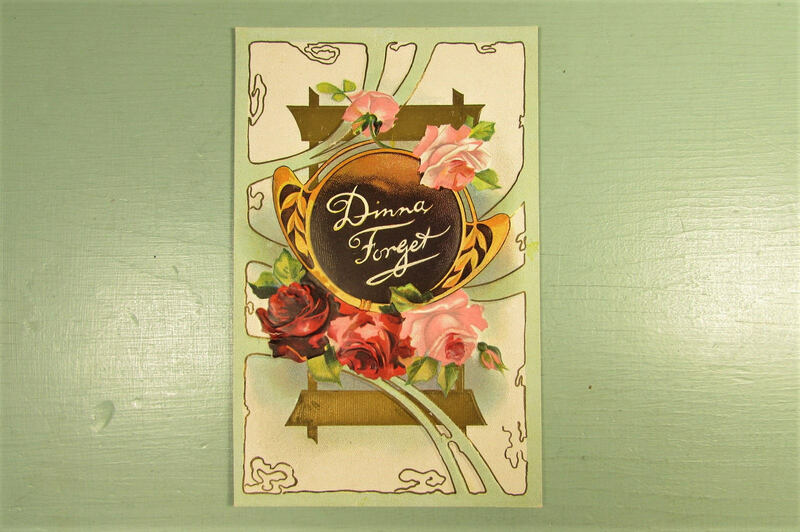 Or, if you are at home and you are away from your beloved friends, you can greet them a happy new year by sending them postcards to show that you are thinking of them at the start of the year. Christmas. With most people celebrating the yuletide season, this time of the year one of those busy days. Gifts, decorations, guests, and food are everywhere. But similar to the celebration of New Year, many people also cannot make it to their homes because of reasons especially work. 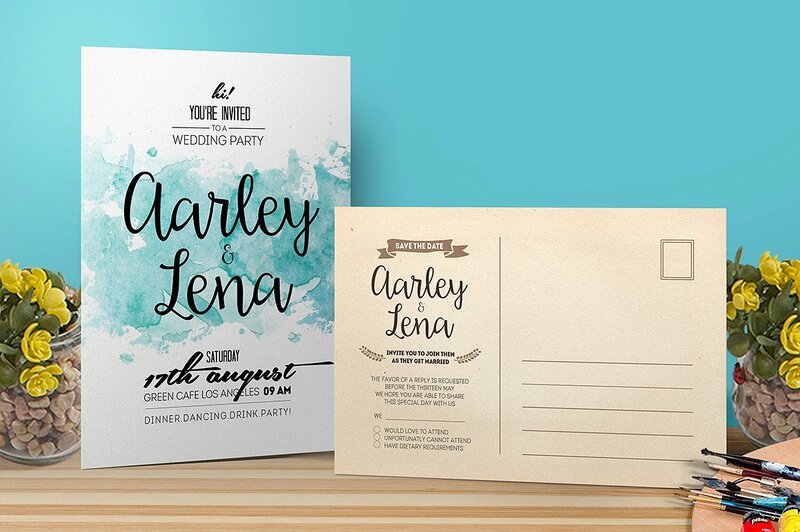 In this regard, postcards are sent to let their families know how much they want to give their presence but unable to do so because of some constraints. And similar again to the celebration of New Year, you can send your friends a postcard, too, so they will know you are thinking of them. Other holidays. There are so many holidays around the world that your families and friends may be celebrating. So to be with them in their celebration, you can greet them by giving them postcards to show your love and support for them. Anniversary. We’ve known so many people around us who are celebrating their anniversaries, but do we care? How can we show that we care? By greeting them. And one way of greeting them is by giving them postcards. Most especially, you can greet your parents if they are celebrating their anniversary, your brothers or sisters, your classmates, your friends, etc. Anniversaries are not only for people. Anniversaries are also celebrated to commemorate the commencement of a business or the buying of things. If you are not sure of what to do or what to give to someone people who are celebrating their anniversary, a postcard will suffice your greetings. Other occasions. We got a lot of occasions to celebrate. So don’t hesitate to drop a postcard to show people that you truly care. Appreciation. There are also cases when you want to appreciate someone but ran out of ideas on what to do to show your appreciation. You may commend someone for doing a great job or you might be thinking of acknowledging someone for a job well done. Giving postcards certainly, would let them know that you truly appreciate what they’ve done for you. Announcements. Some people would also use postcards to give out their announcements, especially companies who have something new to offer. For example, a company is having a new sale on their certain products, having a new line of products that people would most probably want, a new event that a company is holding or will be holding, new promotion, or anything that has an idea of being new. Reminders. This is most usually used when you want to remind people of your annual sales, annual discounts, or, in a cooperative, the annual giving of return on capital to the investors or the giving of annual dividends to the shareholders. Business. 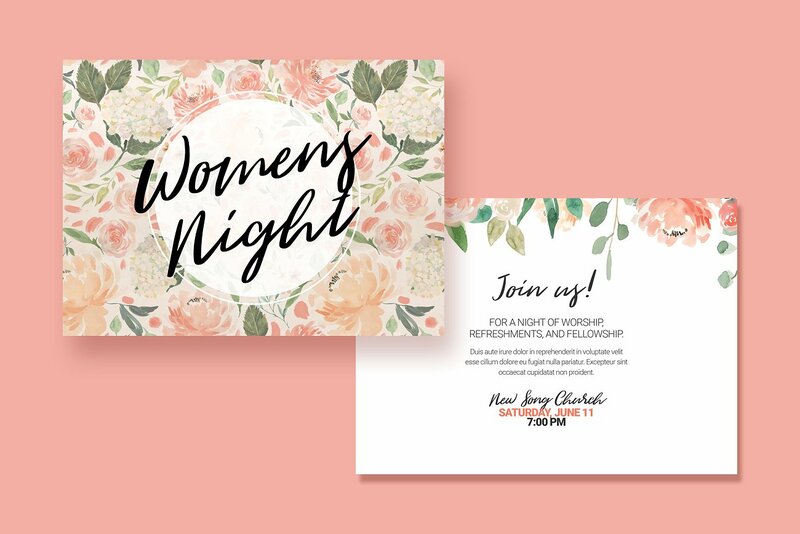 Aside from the two uses of postcards above which are related to business, business entities can also send postcards to their employees for announcements of events or as an invitation to an event of a company. Affordable. 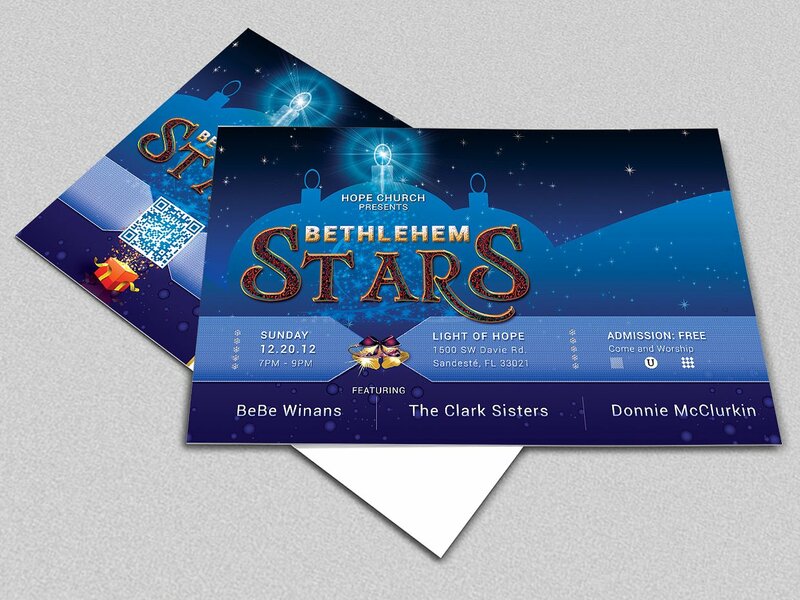 Because postcards are small in size and are usually printed back to back, the cost of printing and paper is less. Multipurpose. As discussed above, postcards have so many uses. 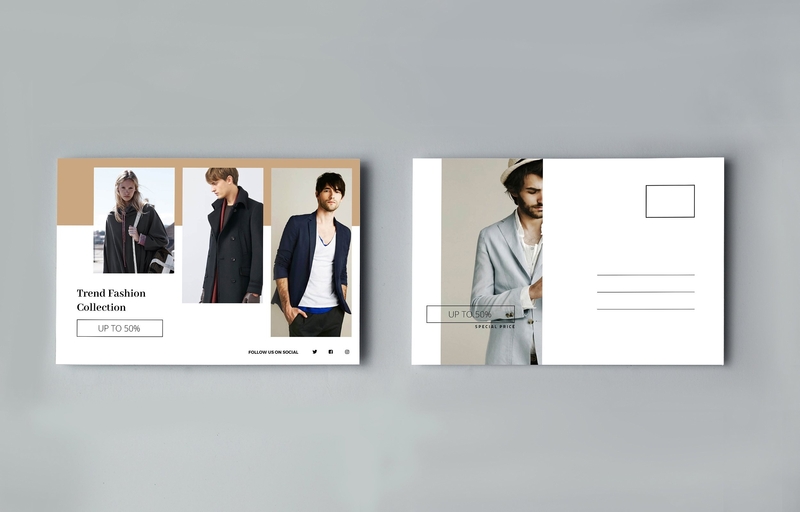 It can serve as a card, a letter, a note, a flyer, a memo, and many others. Because of its flexibility and because it is multi-functional, it is widely used by many people with different types of concerns. Handy. Postcards usually come in small size and in only one page. It can be easily placed inside the pockets of your jeans, in your bags, or between your books or notebooks. Redeemable. 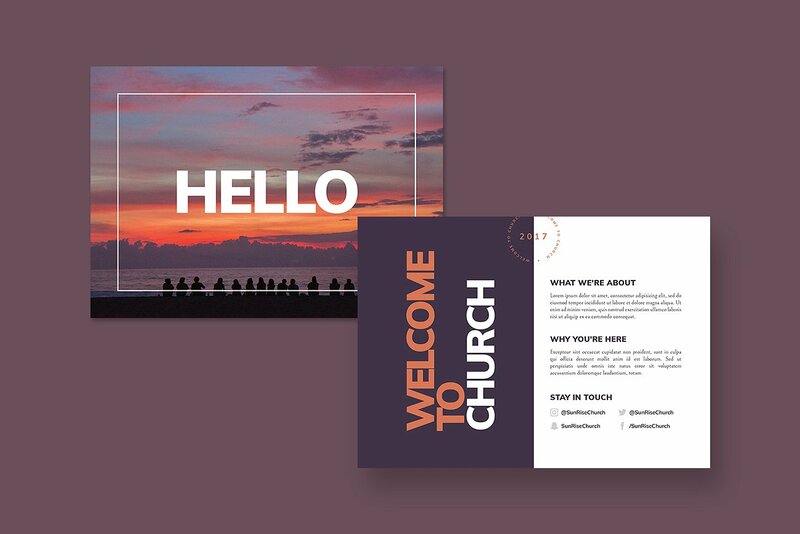 For business entities, some will be using postcards to be given to their customers in which they can offer special discounts or promos. For example, a customer can avail of 10% discount if he/she will present the postcard along with a receipt of a minimum of $50 purchase. Or the postcard contains computer-generated code in which you can input into the company’s site for a free shipping, for example. 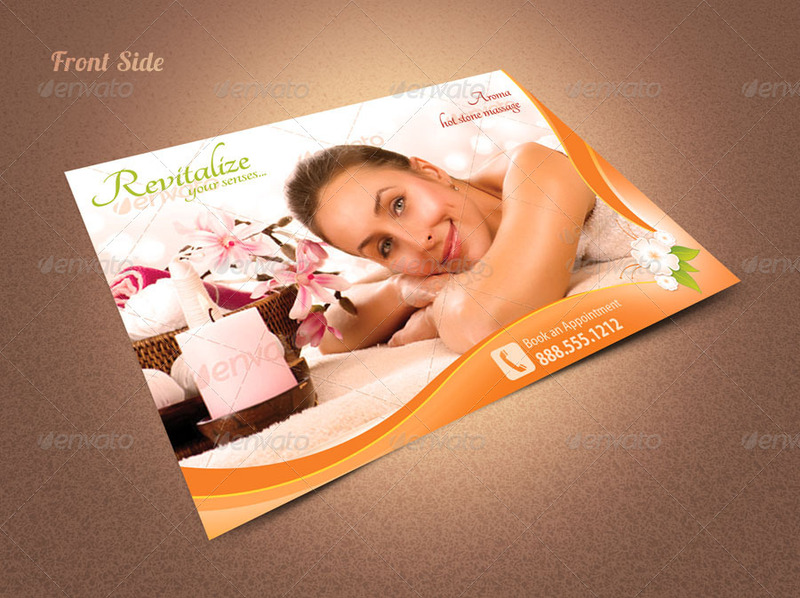 Companies should have creative minds to come up with an idea to utilize the use of postcards. Small size. 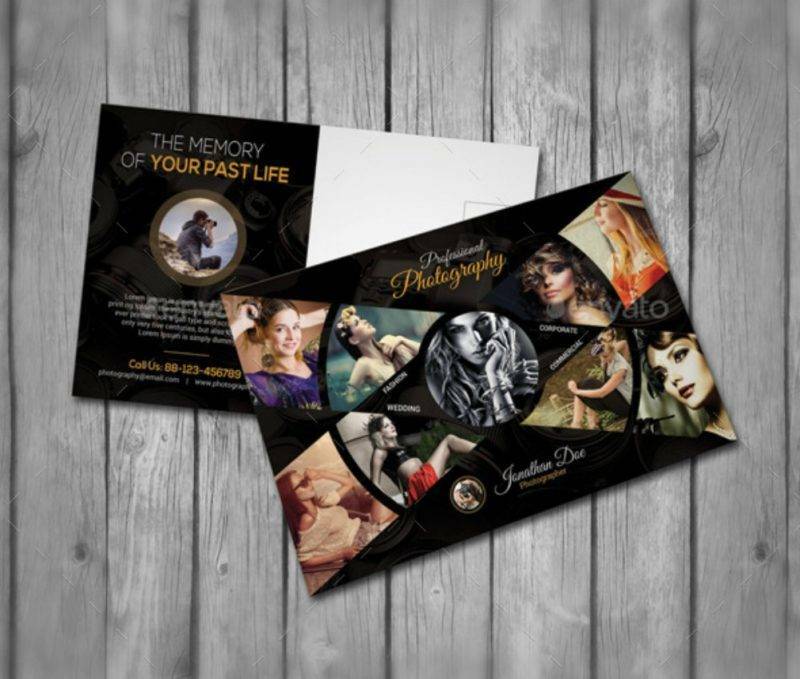 It is stated above that because postcards usually come in small size, it is affordable and handy. However, also because it is small, it can be easily lost if not be kept properly. It can also be quickly disposed of. Privacy. We already know that postcards are not placed inside an envelope. In this regard, your message is not concealed and you cannot send a controversial one. For businesses, the promos and discounts and freebies that they are offering cannot be kept hidden from competitors. Competitors might imitate their idea or might use the idea to formulate a better one. Postcards come in different types depending on its uses. Some of which are as follows. 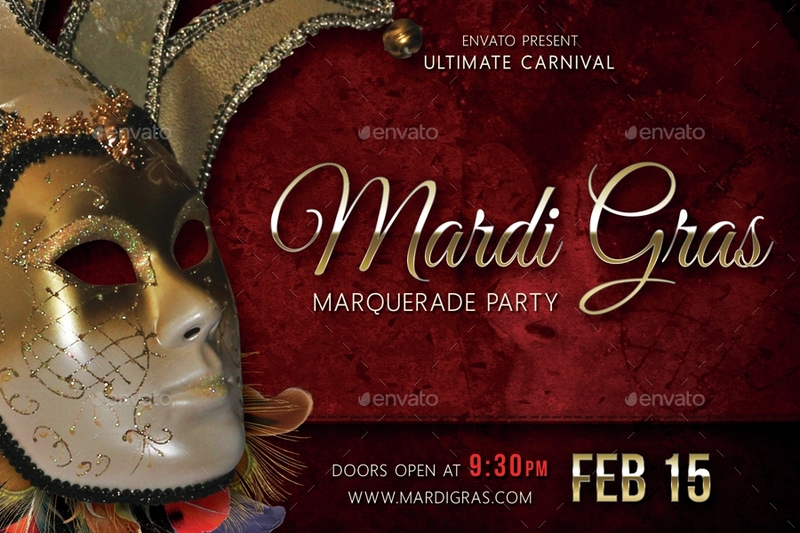 Event postcards are used as an invitation to an event or to convince people to come to an event. With this, there is an expected increase of visitors and guests. 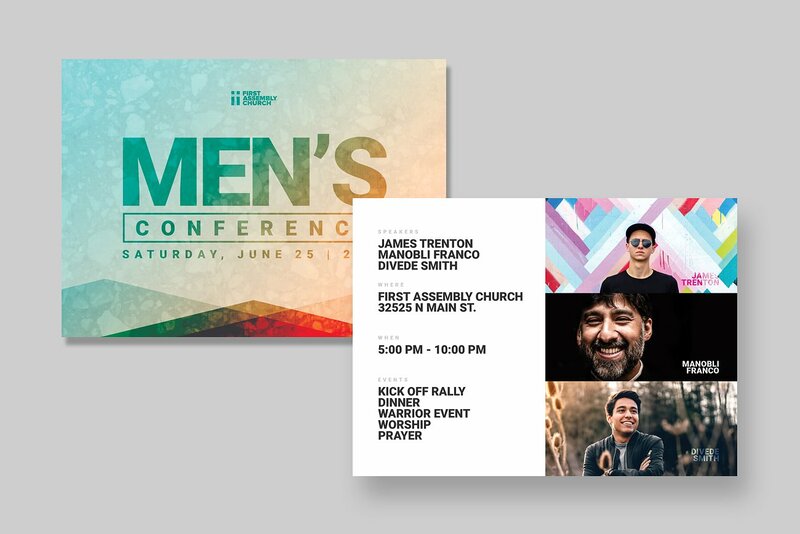 Below are samples of event postcards. 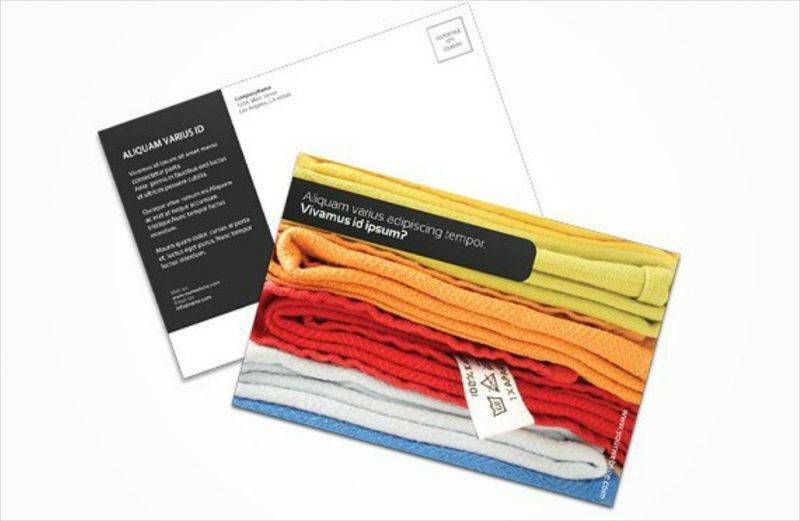 This postcard contains information regarding the business or the company giving out such marketing postcards. 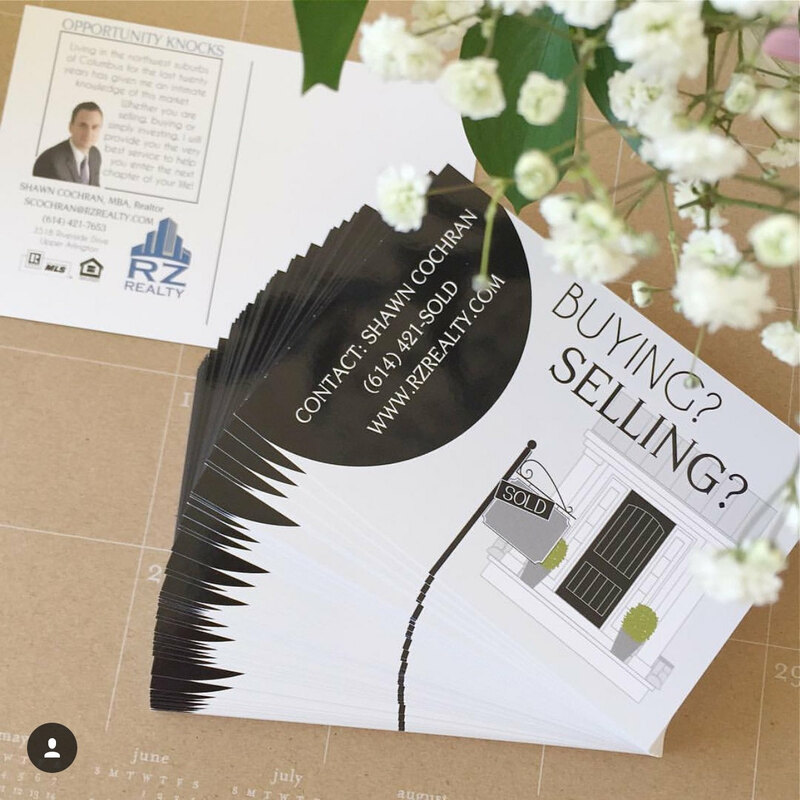 The information is usually straightforward to fit into the space of a postcard. It introduces the company, gives notice for sale or discounts, etc., or advertise their new goods or products or services. 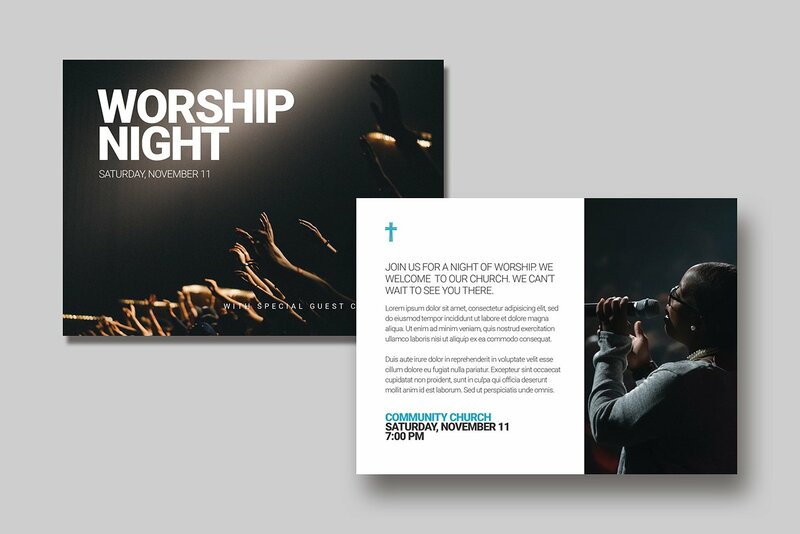 Church postcards can be used to inform and invite people for events like thanksgiving, baptism, conferences, concerts, harvest celebration, etc. 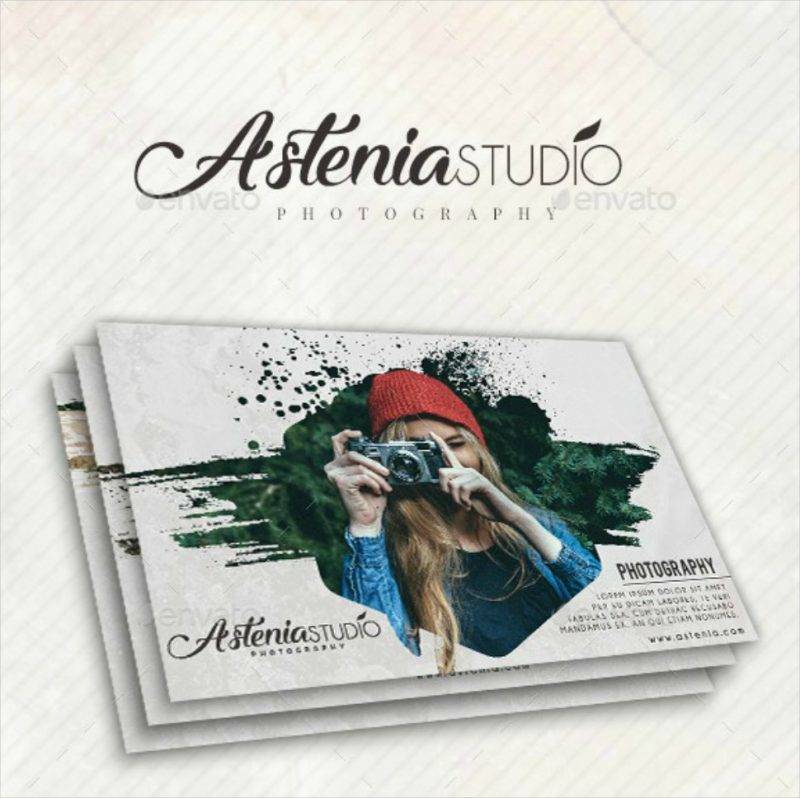 This provides a glimpse of a photographer’s postcard his/her works and the skills and abilities and his field of expertise in photography. 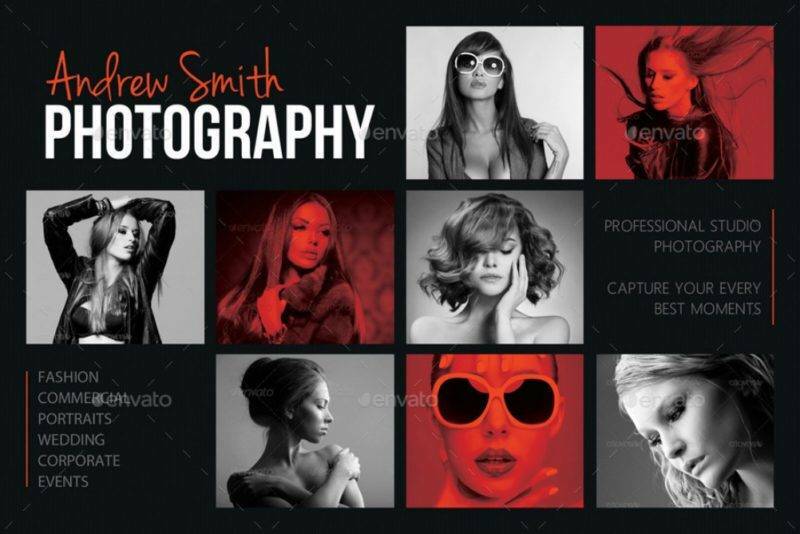 It also acts as a business card so that people can easily contact the photographer. 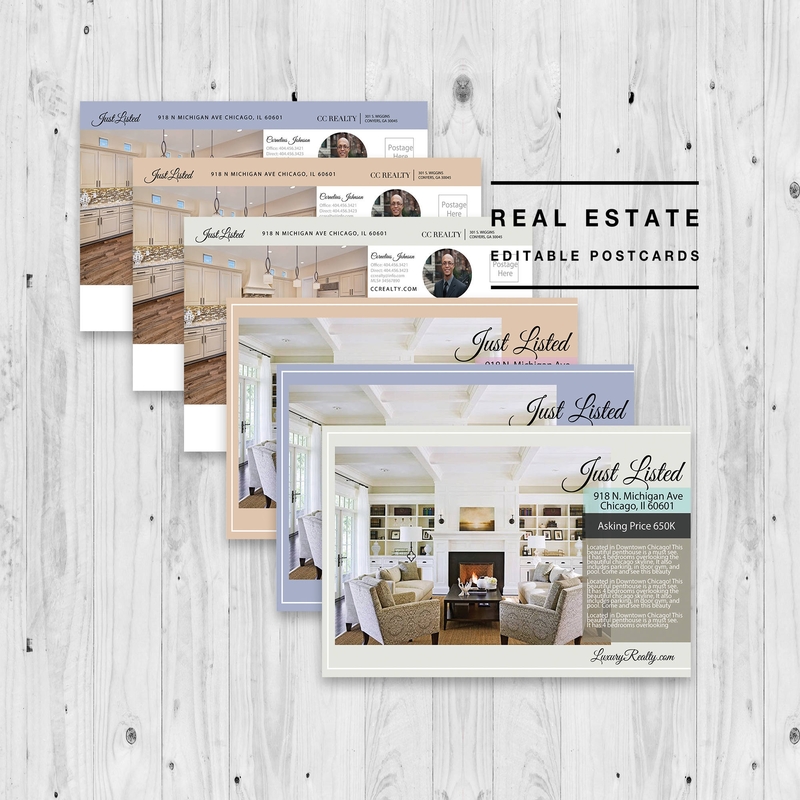 By sending out real-estate postcards, prospective buyers can have a background of the real estate you are offering as well as the breakdown of expenses that they may be spending in case they will be interested in your business deals. 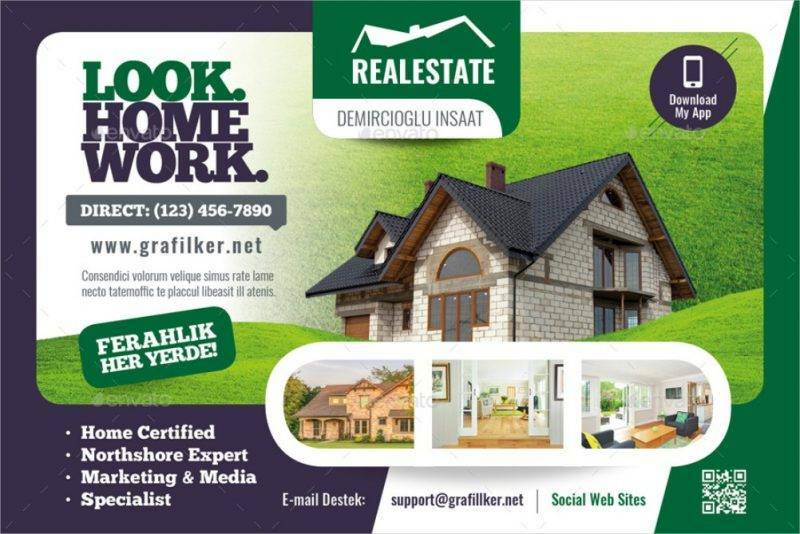 This mainly serves as an advertisement to your real estate. 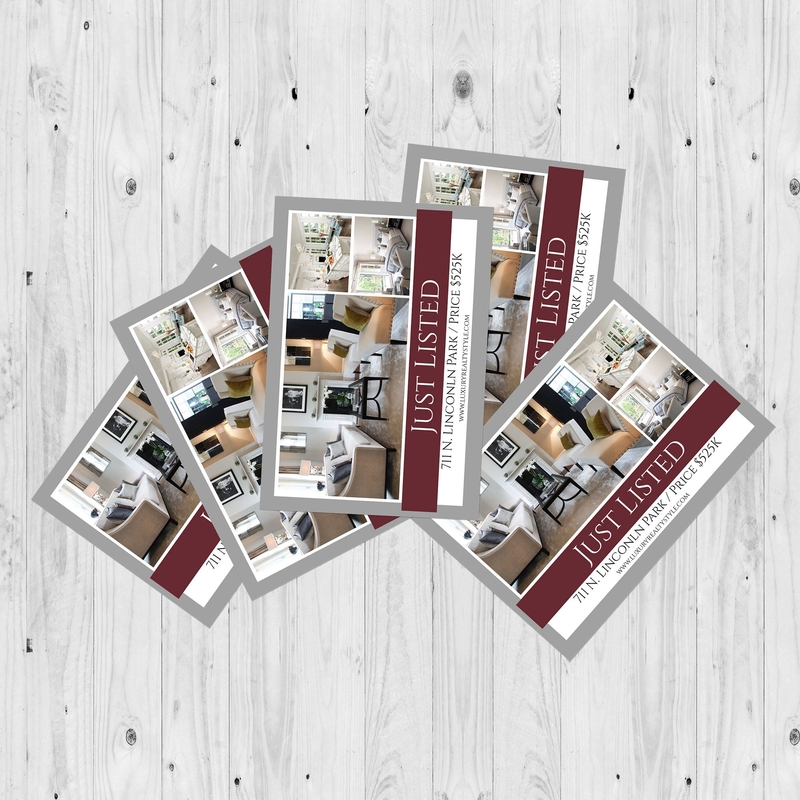 Just make sure that the information you are presenting on your postcard is accurate, detailed, and complete. 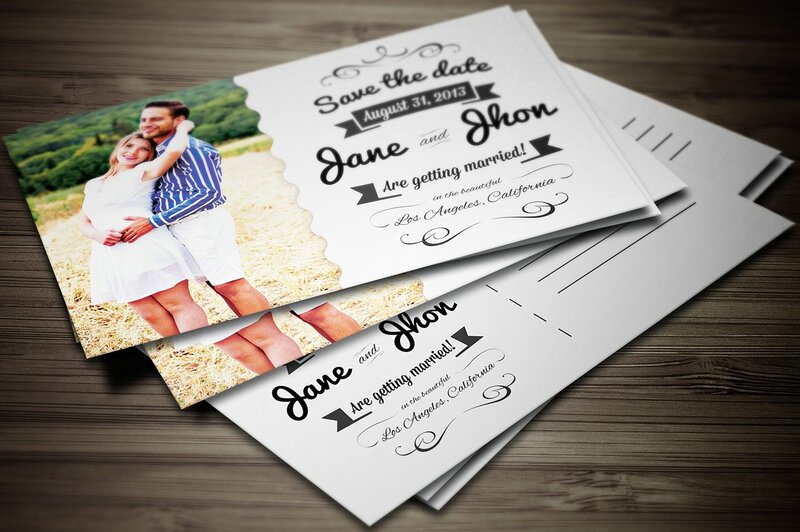 Wedding postcards are sent to inform and invite families, relatives, and friends to a wedding celebration. So basically, these functions are an invitation to people who are expected to come to the wedding ceremony. 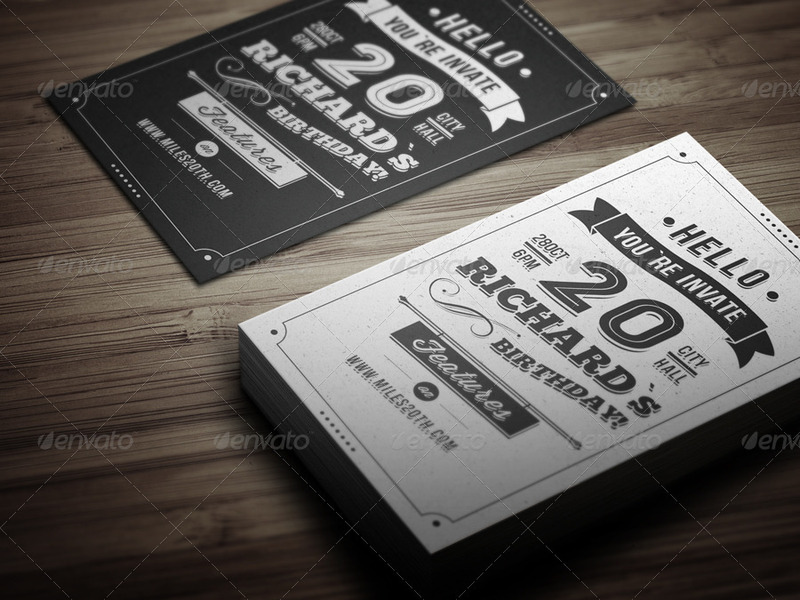 Just as discussed above, you may send postcards to invite people to come to your birthday or to thank people in coming to your birthday. On the other hand, if you are the invited guest, birthday postcards are sent to give thanks to the celebrant. Also, as discussed above, holiday postcards are sent to give warm greetings to the people most dear to you or to just show that you cared for them and remember them during the holidays. 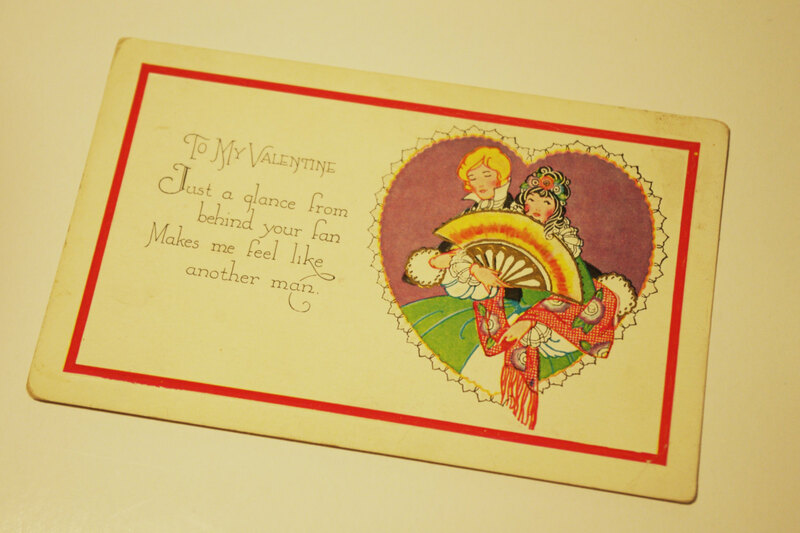 Valentine’s day is a celebration of the day of romance where people exchange flowers, chocolates, and cards. Instead of a simple card, you can send a postcard during this day of the year. 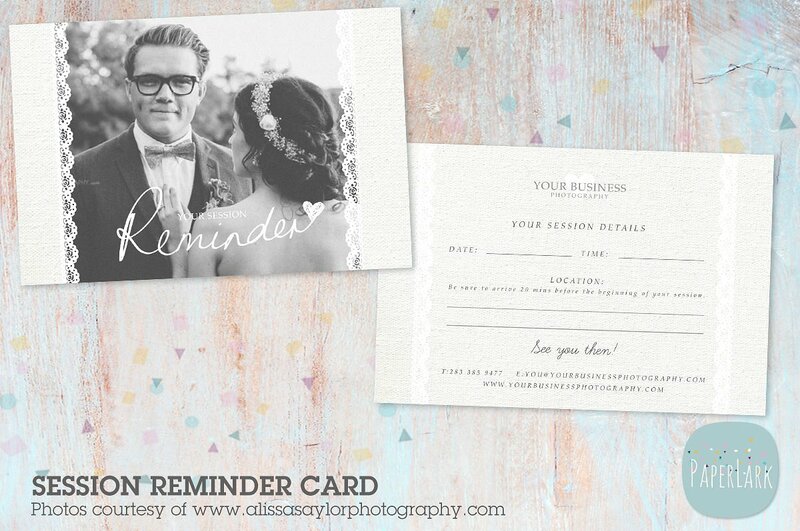 These are used to remind the person you are sending this to for some events or occasions that are approaching. You can also give this to notify someone so that he won’t miss an event. There are a number of reasons actually that a person may use a postcard. It is just up to you on what you are needing as of the moment and how you utilize this small card to satisfy your need. Broaden your thoughts, and you can surely maximize the use of a postcard.